Every Yogi and Sanyasi around the globe have a close relationship with Kailash Parvat. 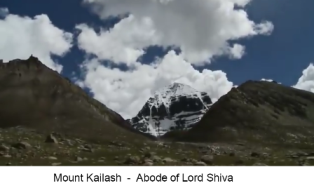 Nature herself proves the presence of Shiva on Mount Kailash Abode of Shiva. Many Mountaineers tried to climb Kailash Parvat no one succeeded. The Russian doctor Ernst Muldashev reported Kailash Parvat as the pyramid built by metahumans. The doctor mentioned that while attempting to climb on Kailash with his team of experts mountaineers containing scientists, geologist, archaeologist, doctors. He felt that some divine force stopped their mountaineering. He stated that climate was appropriate for mountaineering when he started his journey but when he tried to climb the mountain; it started the heavy snowfall which came from nowhere. He had no idea how snowfall happened, and the temperature started freezing. The whole thing made it impossible for them to continue their mountaineering on Kailash Parvat. After some time Dr inner consciousness made him realize that Kailash Parvat is not an ordinary mountain. They shouldn't be there; It is the sacred mountain which is right now not allowing them to climb on it. consequently, they should not try to climb it further and return. The team of doctors and researchers concluded the presence of divine force their which made them stop their mountaineering. They reported paranormal activities on Kailash Parvat. 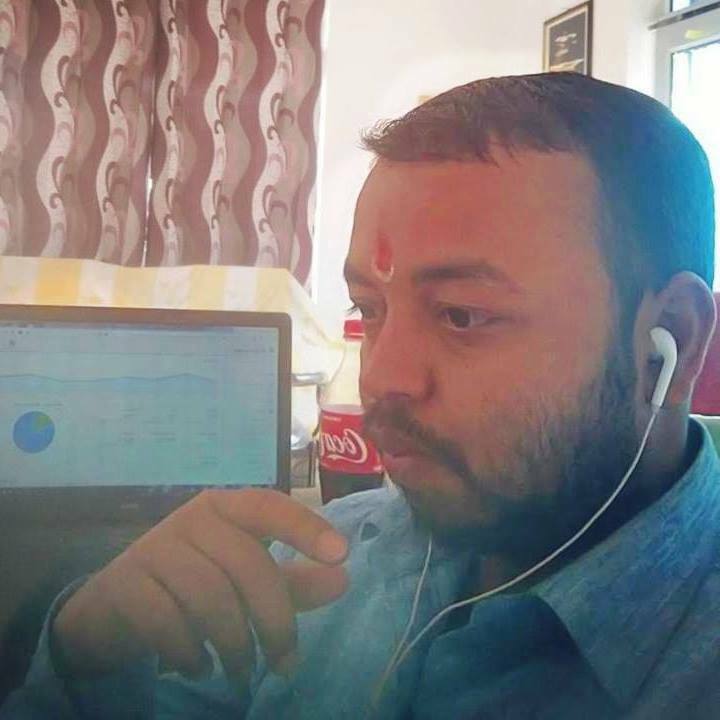 They further defined that Kailash Parvat is the Manmade Pyramid which is constructed by some metahumans whose technology is far superior in comparison to our latest technology. After taking consideration everything, Government of China rejected their theory. Many more people tried to climb mount Kailash but failed tremendously. Some of them even reached behind a fixed human point and returned from there. Later on, they faced rapid aging a died within a Year. Kailash Parbat name is in our epics and Vedas including Ramayana and Mahabharat. Great sages like sage Markandeya, sage Dadhichi, sage Agastya is known for climbing Kailash Parvat. One of the greatest ally of sankat mochan known by the name of monkey king Sugriva; once send his army all over the globe in search of goddess Sita, Spouse of Lord Rama. Ravana was one of the prominent devotees of Lord Shiva. He created Shiva tandav stotra in reverence of Rudra. Ravana in his arrogance kidnapped goddess, Sita. Monkey king Sugriva army even reached the bottom of Kailash Parvat. The Chanting of Ram Naam & Har Har Mahadev gave them strength to bear the adverse climate of Kailash Parvat. There are many mysteries associated with Kailash Parvat. Certain kind of Cosmic radiation always keeps surrounding the Kailash Parvat. Kailash Parvat is the large mandmade pyramid, and super meta-humans lives there whose technology is far ahead of our modern technology. Why aging get's too fast there. People noticed the rapid growth of nails and hair. Mystic Lake of Mansarovar, Kailash Parvat have two lakes one is Rakshas Taal (Demon Lake) and Dev Taal (Divine Taal). Demon lake water is sour and alkaline in nature whereas de Dev Taal water is appropriate for human consumption. Lord Shiva is the primary lord in Hinduism, the one who is known as the Hindu god destruction in the Trinity. The omniscient Shiva is Lord of Lord hence known as Mahadeva. Lord Shiva persona is so charismatic he looks rough from the outer dimension, but the people who have reverence for him know about his innocence and sweetness. Shiva is the shapeless, boundless and limitless transformer. In the iconographical representation, Shiva is Lord Shankara who is the destroyer of the darkness. There are many lessons which people can learn from Shiva and implement straight in their lives. 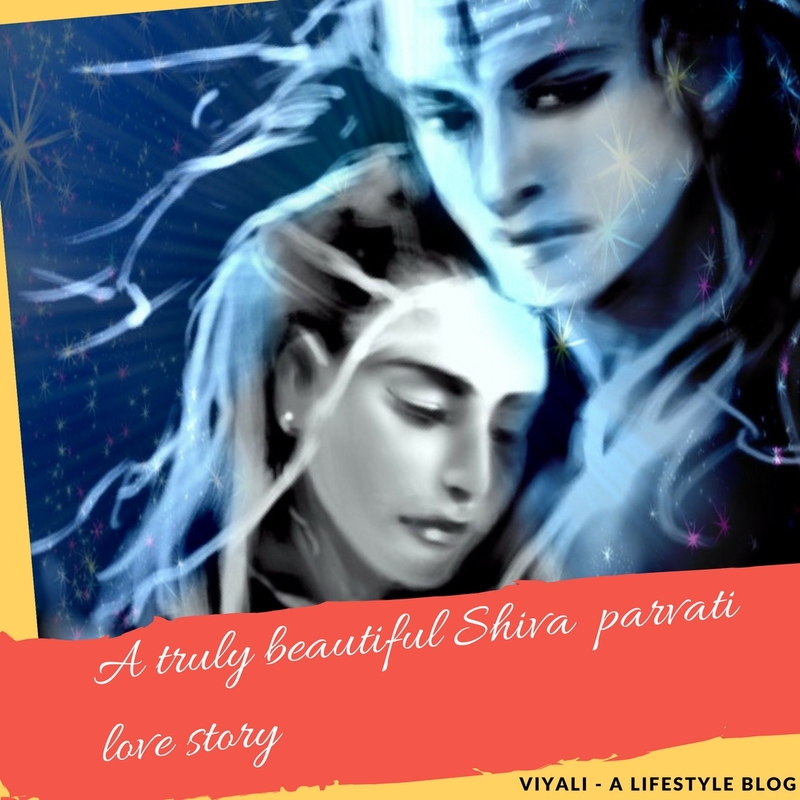 Here is a small story associated with the Kailash Parvat where Lord Shiva marriage took place. Sage Durvasa was one of the powerful sage; famous for his anger and cursing abilities. Whereas his every curse helped humanity to lead from darkness to light. Once upon a time when Sage Durvasa came to know about his Aradhya, Shiva is getting married to the daughter of Himavan, Parvati. He thought to join the celebration and give his regards to Lord Shiva and Shakti. He started his journey towards Kailash Parvat. Meanwhile, On the Kailash, everyone was enjoying the celebration. The ocean of Shiva devotees came from all three realms to holy mount Kailash to see Shiva as the groom. Everyone was Chanting Om Namah Shivaya, and the extraordinary sound of pellets drum was pumping all over the Kailash. It was a beautiful moment when Brahma, Vishnu, Maheswara were together for an auspicious event. Every devotee of Shiva was enjoying and dancing on the beats of big drums. Lord Vishnu smears the Bhasma on Shiva then Brahma applies ashes on Shiva. Shiva was giving an innocent smile towards everyone. Shiva devotees started drinking Somras, Bhaang (cannabis juice). The celebration was enormous, and everyone was dancing and enjoying. Sage Durvasa somehow reached on Mount Kailash. He was tired when he reached Kailash Parvat. His ankle and muscles were exhausted, and the pain was unbearable due to the long journey. He didn't get the place to sit comfortably. He saw everyone is enjoying and dancing. No one noticed tired sage and kept dancing, drinking on. No one took care of him. They did not even greet him. That raised the anger of Sage Durvasa even Shiva's few devotees mistakenly drop few blobs of Bhaang on him. Durvasa anger reached his peak and sage reached to Lord Shiva. 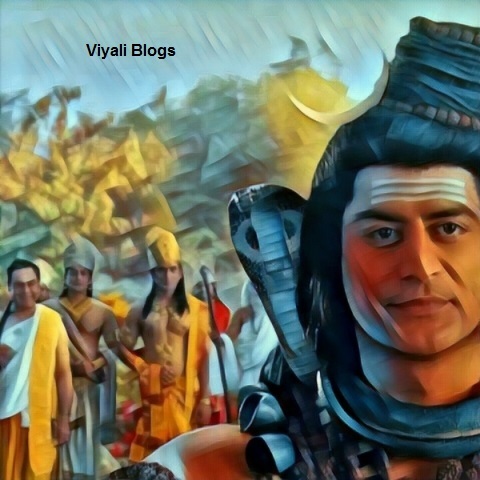 Durvasa Cursed Shiva by saying that your followers are getting so much happy and excited that they even not realizing who is standing next to them. I curse you, Shiva, that whenever the mother of the bride will see you. She will get unconscious and get scared of you. After giving the curse to Shiva, Durvasa realized that he made the terrible mistake of cursing his own Lord. Durvasa gets into the deep sorrow. Shiva cheers him up by saying; Thank you to the sage. There is no need to get upset with this incident happened right now; It was the part of the Maya. After listening to Shiva words, Durvasa feels enlightened. The Baraat starts from Kailash Parvat and reaches the palace of Himava (the king of the Himalayas) where Mainawati (Mother in Law) was curiously waiting to see her daughter Parvati Groom. Sage Narada reaches near Mainawati; She asks Narada is that man wearing yellowish golden robe sitting on Garuda (Eagle) is Shiva? Narada replies no he is Lord Vishnu. Mother of Goddess Parvati, Mainawati again asks I think, The man sitting on seven-headed white elephants is Shiva? Narada replies No, he is the king of demigods Indra with his elephant Airawat. For a moments Mainawati starts thinking that Shiva must be a charming man. Shiva appears sitting on Nandi the Bull of Shiva. Wrapping himself in animal skin wearing Garland of Snakes and smearing Cremation ground ash. He had matted hair coils having the third eye on his forehead, Ghost, phantoms, apparition dancing around him. Mainawati asks Narada Who is this Man? Narada smiles and sweetly replies he is the groom, Lord of Lords, Shiva. Mainawati gets scared and says what kind of joke is this. He looks like a barbaric man, how can I let my daughter marry him? No Narada you must be joking with me. Narada again tells her that he is the Groom. Mother of Parvati calls Himavan and tells him that she could not let her daughter getting married to such a man. She get's unconscious by saying that this wedding cannot take place. The festive atmosphere gets changed whereas Shiva was smiling gently. On the palace goddess, Parvati through inner vibes welcomes Shiva and send a request of meeting Shiva in personal. Shiva switches the dimension, and everyone disappears for a moment. There was only Shiva and Parvati present there. Shiva takes a step closer towards Parvati, and on the other side Parvati bends her head with a pleasant smile and moves a step towards Shiva. Parvati - My mother imagined you in a gorgeous appearance. After viewing your current guise, my mother is scared of your presentation. Shiva - Parvati what is wrong with my current guise, I always remain in the same appearance. I have presented myself exactly the way I am, Parvati. I used to live on Kailash Pravat in the same appearance. You loved me the way I am. Parvati - It is not just between two of us. I loved your every appearance. So there is no question of accepting you're any guise for me. Every mother desire to make her daughter getting married to a handsome man after viewing your appearance; she is a little bit confused about your grace. Shiva - Parvati, Outer beauty is temporary, it is not eternal in nature. What we see is the just base of physical existence, nothing else. It gets faded with the time. Whereas, inner beauty is eternal. Parents must understand that real beauty comes from character and intrinsic goodness, not from the outer appearance. Still, for your mother, I will change my appearance. Parvati - That is the truth; General human minds are not aware of the universal truth otherwise they may become the god. My mother is from those one simple people who could not understand the significance of inner beauty. My mother wanted me to get married the most handsome man on the earth, whereas I know that there is no one handsome like you in the whole cosmos. After such a conversation Shiva brings the moment back, and everything gets normalized. Narayan comes, and tells everyone Shiva will be coming in a few moments please get ready with Mahakaal Aarti. Narayan takes Shiva to the palace of Guest, where Narayan dresses Shiva. Shiva wears the white shiny traditional dress ornamented with pieces of jewelry. Lord Shiva was looking an attractive and most handsome man in the world. Vishnu tells to Shiva that Mahadeva your this avatar will be known by the name of Chandrashekara. It is the super charismatic and most handsome avatar of the supreme divinity ever taken on the earth. Mainawati get's her consciousness after some time and realizes the attractiveness as well as qualities of Shiva and apologizes for her mistake. Afterward, she requests Shiva to get married to Parvati in the eternal form; Shiva grants her wish. Grand ceremony of Shiva and Parvati marriage takes place. After getting married to Shiva, Parvati goes to Kailash Parvat with Lord Shiva as her husband. 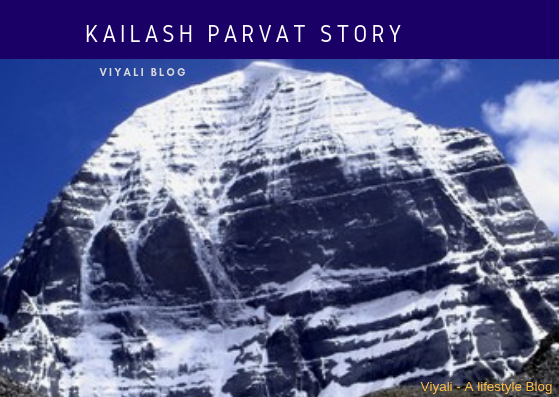 In this post, we have shared the Story of Kailash Parvat; how Sage Durvasa journey towards Kailash Parvat created a problem for everyone in Shiva Parvati Vivah. If you liked the post, please feel free to share it on the web, We will be thankful for your kindness. I am Santosh, founder of this lifestyle Blog Viyali. I love studying and researching Vedic science and today's technology. 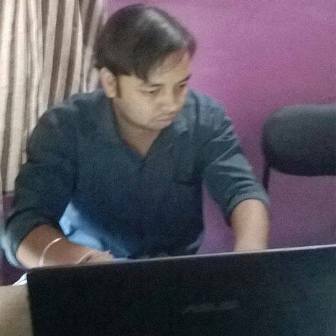 Apart from that I also like interacting with broad-minded writers, Authors, and bloggers all around the globe. 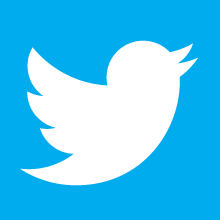 Please feel free to connect with my social media profiles. We are updating our website theme to make it more lighter. Plz feel free to send your suggestion on contact us page from Menu. Why Lord Shiva's anger is devastating? 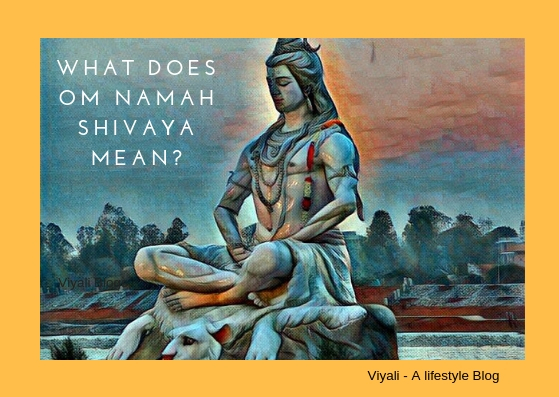 What does Lord Shiva represent? The South Indian Film industry need to make a movie on Lord Shiva? How to become a sanyasi? 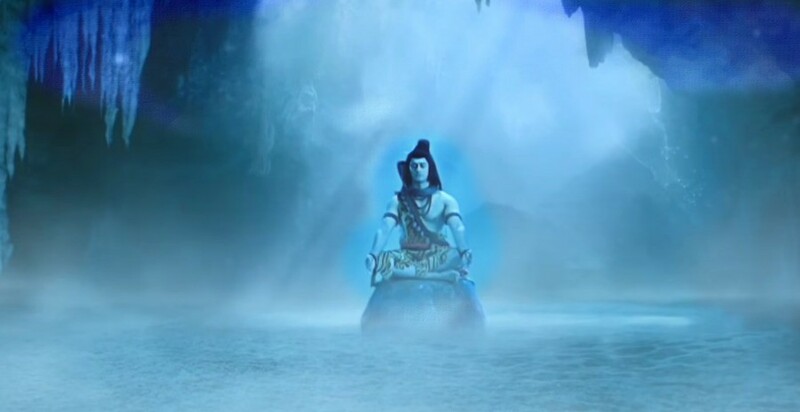 Why Lord Shiva is blue? 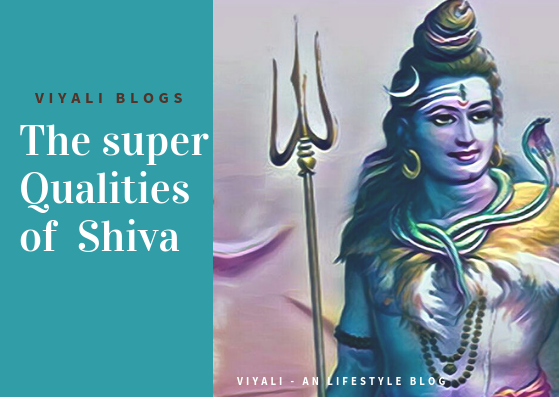 How to connect with Lord Shiva? 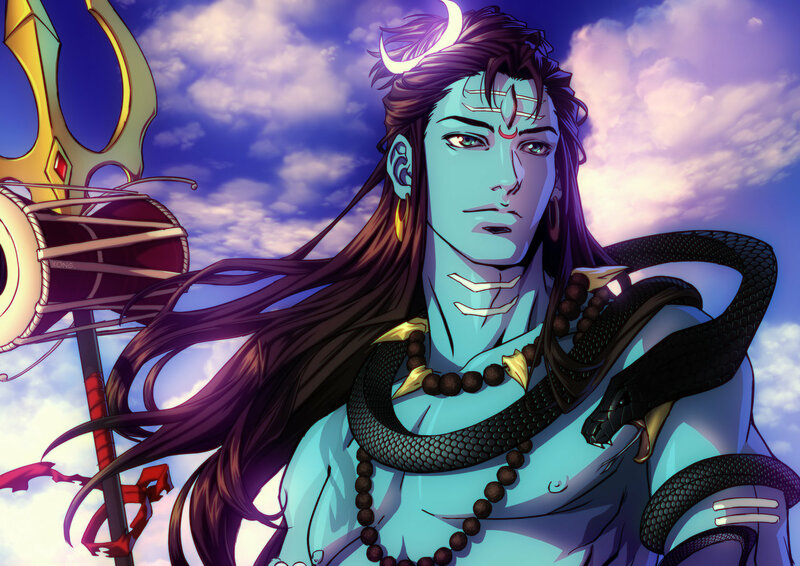 Why Shiva took Rishabh avatar? Who is the father of Lord Shiva? What is Shiva lingam stone? what is Shiva's third eye ? What is kundalini shakti yoga?